The Asian Journal of Science Education (AJSE) is a scientific publication in the field of Science published by the Department of Physics Education which is directly under the Universitas Syiah Kuala. The basic for publishing this journal is to maintain the existence of higher education institutions to continue to provide publications in the form of scientific journals. 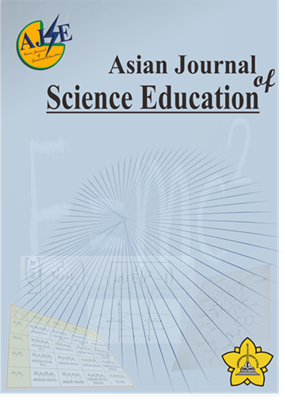 The purpose of the Asian Journal of Science Education (AJSE) is to accommodate and publish all scientific writings in the context of Science, specifically Physics education, Chemical Education, Biological Education and Mathematics Education in order to create a growing source of literacy for science.